HoneyBee Season is Upon Us! The Third Monday of the Month is Here! Please join us for the next Bee Group Meeting at the Olive Free Library, this coming Monday, April 15th, at 6:30 PM. Hope to see you there and looking forward to hearing how your bees are coming out of the winter. Are you ready for Spring? Chris Conklin will present on his hive monitoring experiments - solar powered, internal temperature, humidity and hive weight! Don't miss this one! Inspired by some work that Rob had previously done and a couple of web resources dealing with monitoring activity within the hive using a variety of electrical sensors, I’ve used some of my electrical engineering and computer knowledge to come up with my own Hive Monitoring system to better understand conditions within the hive without having to be physically at the apiary. 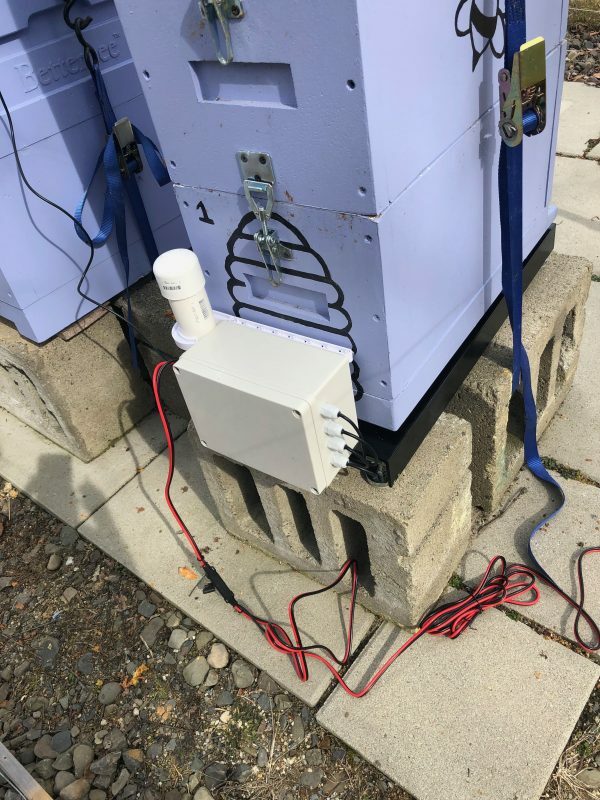 The system monitors and records the weight of the hive, the ambient temperature and humidity at the hive location, and the temperature and humidity within the hive. The readings are captured every minute and sent to “The Cloud” via a wifi connection for display and analysis. Recently added to the system is a wifi camera. The complete Hive Monitoring system is also solar powered so the battery health and solar production is also monitored. I will have the prototype hardware available for “show and tell” at the April bee club meeting along with a short overview of my experiences to date. 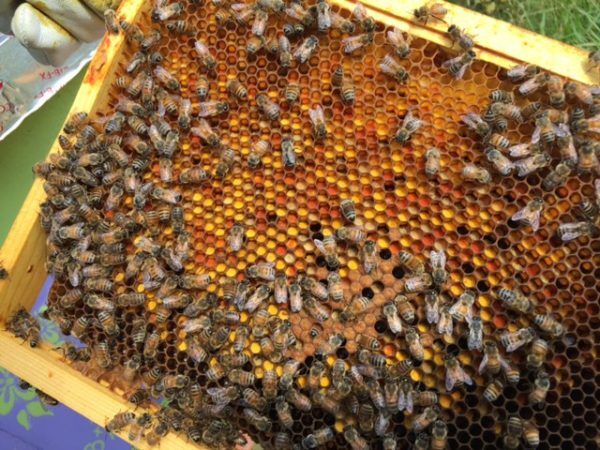 The first video from the March 9th Bee Symposium is up! Rodney Dow has been keeping bees since 1960, and first learned how to keep bees from a Lithuanian refugee who escaped war-torn Europe after WWII. 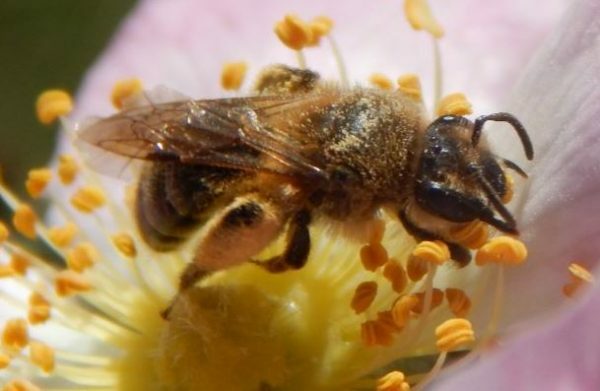 Rodney talks about what it was like to keep bees before varroa mites invaded the US, and goes on to talk about a number of his methods in keeping, feeding and rearing bees. 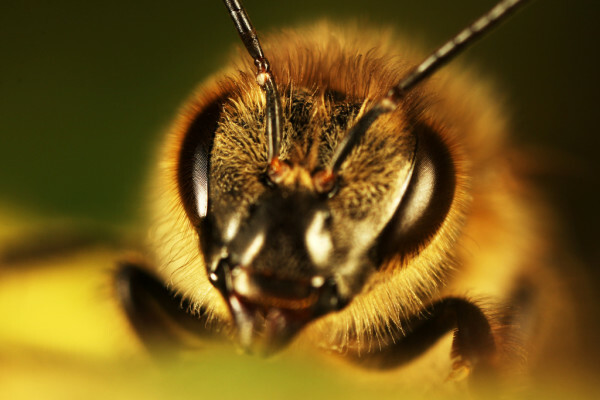 CLICK HERE to view the March 9th Bee Symposium talk. 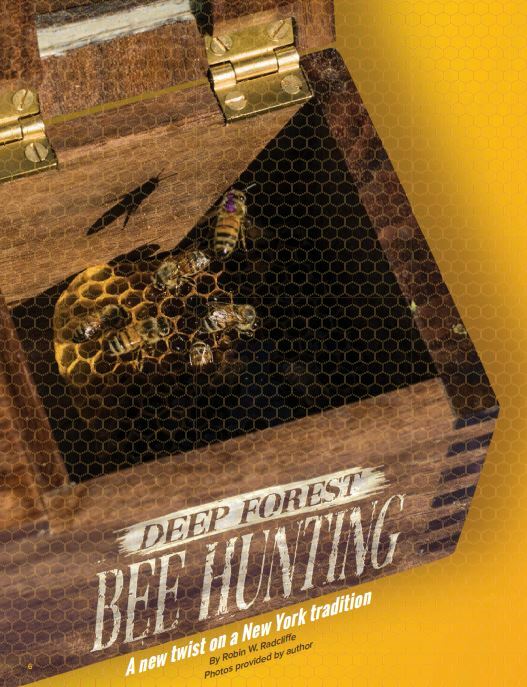 A nice tale of hunting honeybees in the wilds of New York State from the NYS DEC's Conservationist. Not so sure about cutting down trees and destroying wild honeybee hives just for the honey, but the story is nice and we can all decide not to cut down a tree and not harm our wild honeybees. ;-) Click Here to read more. One of the themes of the March 9th Bee Symposium was the depleted nutrient levels and microbial health of our soils, damaged from overuse, exposure and agriculture, not to mention pesticide and fungicide use. This has allowed mineral depletion and beneficial microbes to vanish, allowing harmful bacteria and fungi to proliferate. 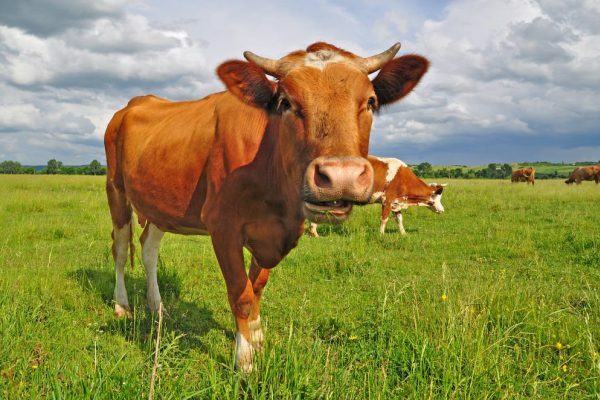 This article talks about applying raw milk, plentiful in lactobacillus and milk sugars that repel pests, and restore the health of our soils, and by extension, the health of our bees. Food for thought. :-) Click Here to read more. Xerces Society - Pollinator Plants: Northeast Region (opens a PDF in a separate window) Note this gives bloom periods to plan for different blooming times of year. Rob will have on hand 10 treatment Nozevit+ and DFM. Nosevit+ combats Nosema, a notable hive killer, and DFM is a product that has beneficial microbials, aka, bee centric probiotics, for the hive. CLICK HERE for info on Nosevit+ and how to apply. Useful Links: For Honeybee information, videos, podcasts and workshops please visit the links below. Workshops are being updated as we speak!